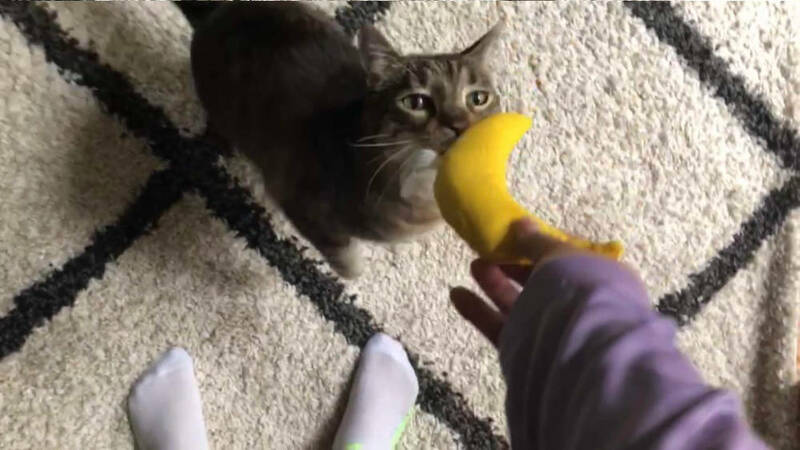 Hey there, long time no see! I just wanted to pop in and let you know that I am re-launching the blog on Friday, February 1st! My new posting schedule will (probably be): new blog posts every Monday and Wednesday and new vlogs every Thursday and Saturday. Taking a short break over the holidays was nice. Adam and I celebrated with family, went to Vegas and then returned to work feeling refreshed. It’s been a busy start to the year and I’m looking forward to blogging all about it! There will be some changes beyond my posting schedule which I will share in Friday’s post! What won’t change? 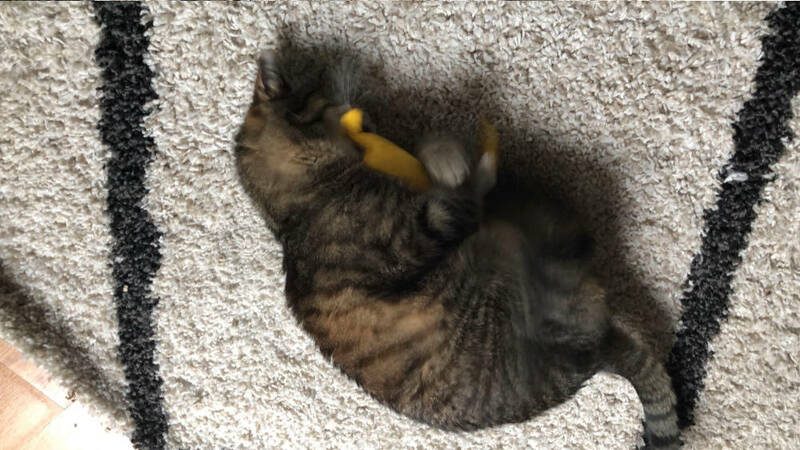 Lots of Cecil pics 🙂 Over the weekend we bought him a new catnip banana which has replaced catnip carrots as his favorite thing ever! I’m looking forward to the blog relaunch! See you on Friday! Welcome back! I look forward to hear about what has been going on with you. 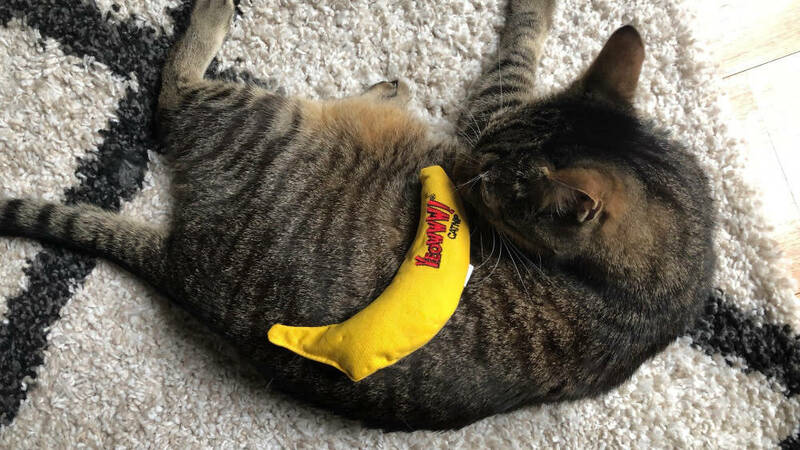 I guess that debunks that myth about cats being afraid of bananas. In case you haven’t heard of that one, it’s something my kids informed me of. Google! Thank you! Hahaha I have not heard of that but it’s hilarious and that video is killing me! LOL! Glad to hear you will be posting blogs in addition to videos – I’m not a video watcher, so it will be nice to get written updates! Hey Rachel! I’m looking forward to getting back into blogging mode!